Big Six Update: Legislative Wins Coming out of Storm the Hill! 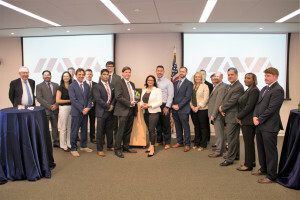 Last week was a very busy and successful week at IAVA as we held our Summer Storm the Hill! 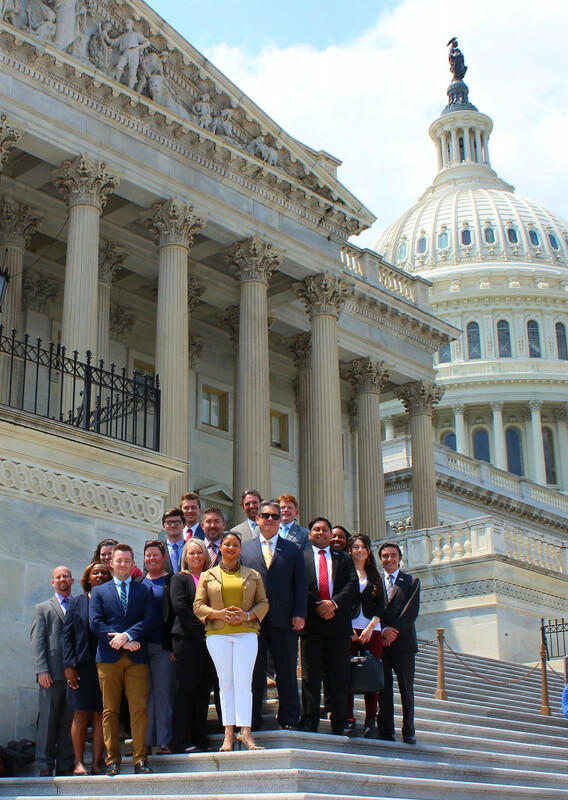 We brought in IAVA members from across the U.S. to share their stories with Members of Congress and tell them why the Big Six issues are important to them. Our members met with nearly 40 Congressional offices during the week and were a great help in piling on legislative victories for #BurnPits, #SheWhoBorneTheBattle, and #CannabisForVets. IAVA members were crucial in adding 10 cosponsors to the Burn Pits Accountability Act (H.R. 5671) last week. This includes Reps. Jamie Raskin (D-MD), Rodney Davis (R-IL), and Joe Courtney (D-CT), all of whom met with IAVA member constituents to hear how they are personally affected by #BurnPits. 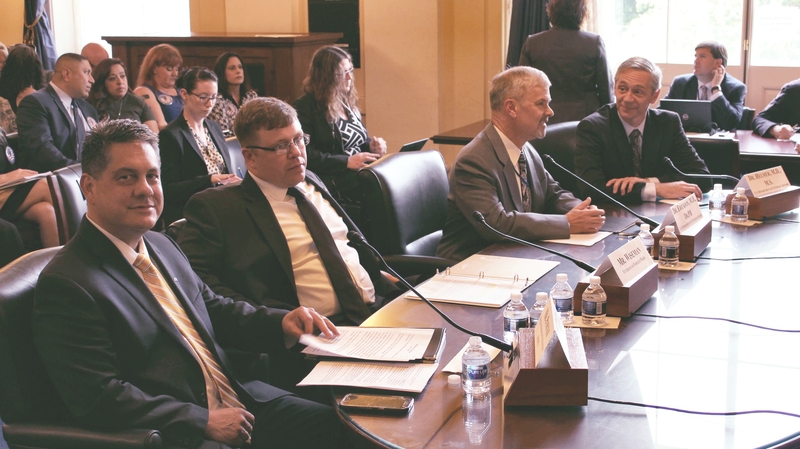 Near the end of the week, our stormers attended the House Veterans’ Affairs Health Subcommittee oversight hearing on Burn Pits and Toxic Exposures in order to see IAVA’s Legislative Director, Tom Porter, testify in support of the Burn Pits Accountability Act. Additionally, #SheWhoBorneTheBattle continues to gain momentum as the Deborah Sampson Act (S. 681/H.R. 2452) picked up five cosponsors last week in Sen. Robert Menendez (D-NJ), Reps. Jamie Raskin (D-MD), Joe Courtney (D-CT), Thomas Souzzi (D-NY) and Bruce Poliquin (R-ME)! 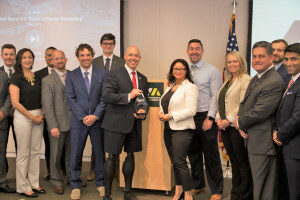 Again, IAVA members were an immense help in sharing their stories in order to gain momentum for this bill. While IAVA members were storming, the President signed the IAVA-backed VA MISSION Act (S. 2372/H.R. 5674) into law on Wednesday. This is a big step forward in Defending and Reforming Government Support for Today’s Veterans. 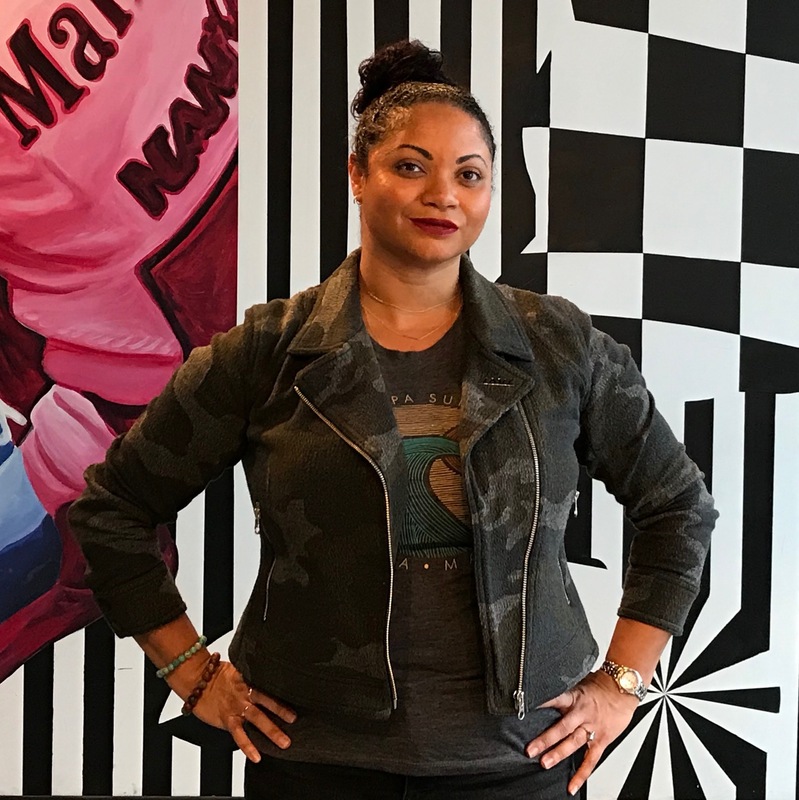 This bill includes Peer-to-Peer counseling services for veterans who are separating from the military to assist with their transition, including female counselors for women veterans – another big win for our #SheWhoBorneTheBattle campaign. While the VA MISSION Act is now law, IAVA will continue to monitor its implementation in order to ensure that it’s working for all veterans. 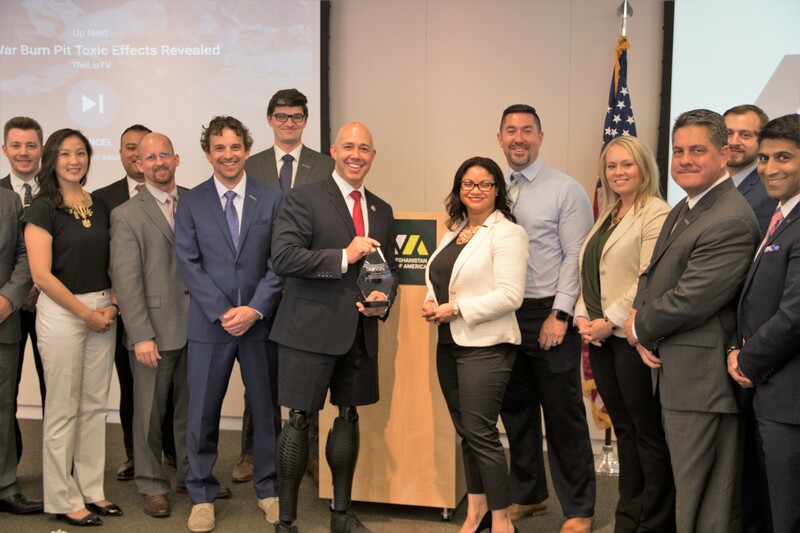 Also on Wednesday, IAVA recognized Rep. Brian Mast (R-FL) and reporter Leo Shane III from Military Times at our 2nd annual IAVA Salutes. They have both been enormous contributors to our community and have worked extremely hard to advocate for veterans. 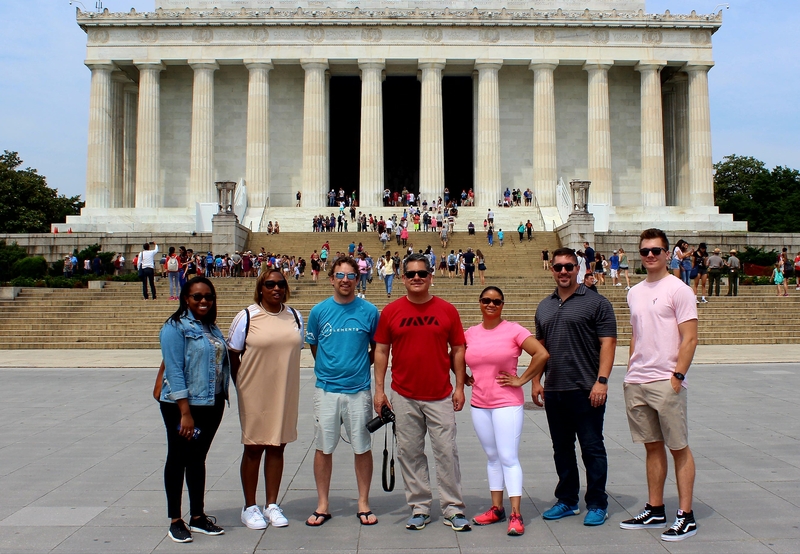 Our stormers wrapped up the week by completing a monuments tour around the National Mall. This gave all of us time to look back and remember all of those who came before us and the legacy that we carry on. If you couldn’t make it to Storm the Hill, you can still spread the word on all of our Big Six priorities by sending your Member of Congress a message by going to our Take Action page here!